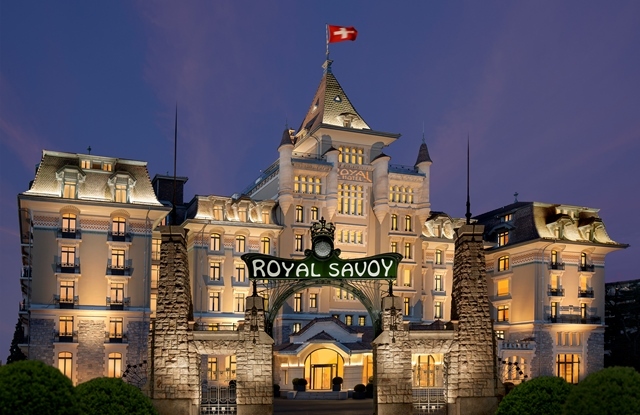 The Hotel Royal Savoy Lausanne has been restored to its former glory and writes a new chapter in the local hotel history. In the heart of the city of Lausanne, the stage curtains open on this luxurious property with its elegant Art Nouveau style complemented by a fresh and contemporary design. Lausanne, site of the headquarters of the International Olympic Committee and numerous other organisations and multinational corporations, is a city situated directly on the shores of Lake Geneva, surrounded by vineyards. The Royal Savoy is located in the city’s lively harbour district, a short walk from the lake, and a few minutes away from the heart of Lausanne. In the vicinity of Lausanne, there are numerous destinations well worth an excursion, and the city is located just 50 minutes from the international Geneva airport.